NORTH ATTLEBORO, Mass. – With North Attleboro’s half-court defense giving Canton’s offense fits, the Bulldogs needed to find other ways to get its offense in gear. 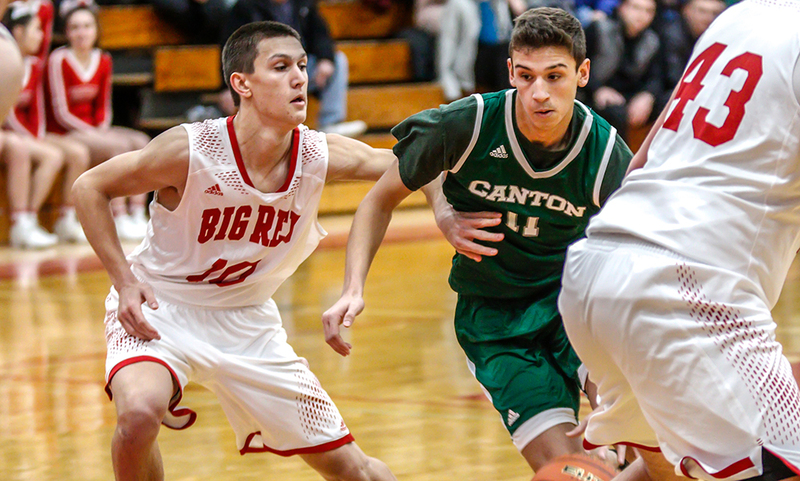 The offensive jumpstart that Canton needed started on the defensive end, as the Bulldogs’ defense came up with continuous stops that allowed the team to cash in in transition. And on top of that, five of the Bulldogs’ six offensive rebounds resulted in second-chance points. That combination gave Canton’s offense the boost it needed and the defense did the result, earning a 53-35 win over the Rocketeers. “It all started with our defense,” said Canton head coach Ryan Gordy. “[North] has a lot of size and we were concerned about post entries so we worked really hard on defending it. I felt like we did a good executing our defensive gameplan. Canton got off to a strong start, limiting Big Red to just a pair of field goals in the first quarter. The Bulldogs hauled in nine defensive rebounds and got out running, leading to a 14-5 lead after eight minutes. North Attleboro’s offense got back on track in the second, which also helped slow Canton’s offense down. After a transition bucket from Devin Foster (13 points) put Canton up 21-8 early in the quarter, North’s offense rattled off an 11-4 run to end the half. North junior Josh Montague (12 points, eight rebounds, three assists) was the catalyst of the run. Matt Seavey’s two free throws started the surge but Montague scored the Rocketeers’ next nine points, including a putback, a drive the length of the court after hauling in a defensive rebound, and one at the free throw line. But as quickly as North got back into the game at the end of the half, Canton recreated its lead with a surge to open the third quarter. 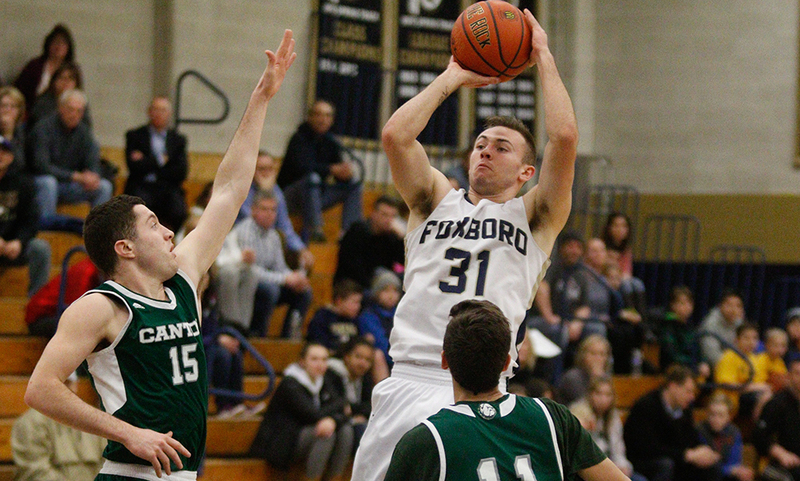 Austin Maffie (10 points, six rebounds) converted a putback to open the scoring, senior Tony Harris cut across the paint and took a feed from Jake Verille (nine points, seven rebounds, four assists) for an easy two, and then Foster capped the run with a triple, followed by a strong take to the rim. Big Red rattled off four straight points to get within 11 again but a bucket from Kyle Fitzgerald in transition was followed by a putback from Matt Warburton to swing momentum back in favor of the visitors. Canton’s defense limited North Attleboro 10 points or less in three of the four quarters, 26% shooting from the field overall, and just four three’s on 19 attempts. Canton had an answer for every push North made in the final quarter. Junior Jake Petersen (eight points, nine rebounds) scored down low off a feed from Montague but Verille answered with a three-pointer. Peterson scored off an offensive rebound and Montague hit a step back triple for a quick 5-0 spurt but Maffie hit back-to-back baskets in response. 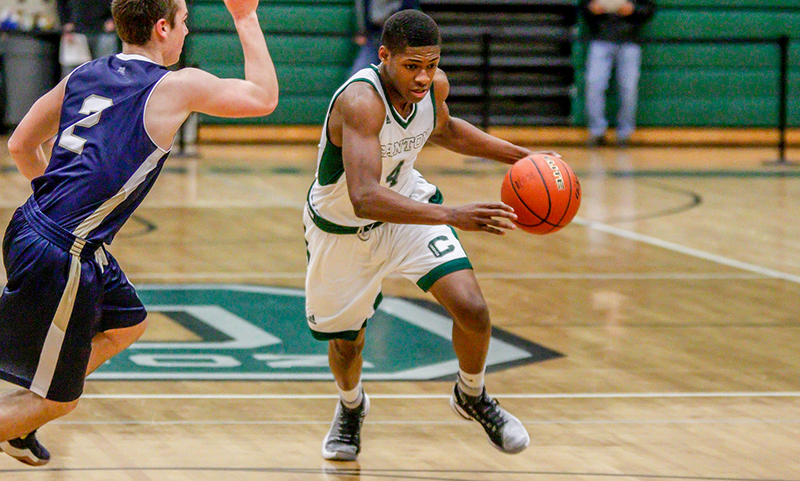 Canton boys basketball (3-1 Hockomock, 5-1 overall) will be back in action on Tuesday night when it hosts Milford. North Attleboro (1-3, 3-3) will try to bounce back when the same night when it takes a trip to Sharon. Both games are scheduled to tipoff at 6:30.